You want to give the horses on your property the chance to get out and run around. But you don’t want them to be exposed to too much rain, wind, sun, or cold. 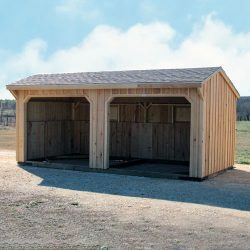 The portable run-in sheds from Deer Creek Structures are made with durable cypress siding and can provide your horses with protection from the weather. You can have 8-foot, 10-foot, and 12-foot horse sheds delivered by Deer Creek Structures and see why so many horse owners have purchased run-in sheds in Louisiana in the past. 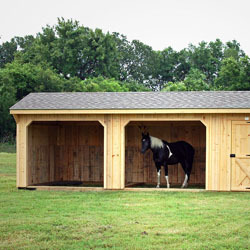 Do you have a single prized horse that needs shelter every now and then? 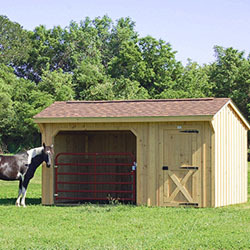 An 8-foot run-in shed from Deer Creek Structures will give your horse a place to go when the weather gets bad. 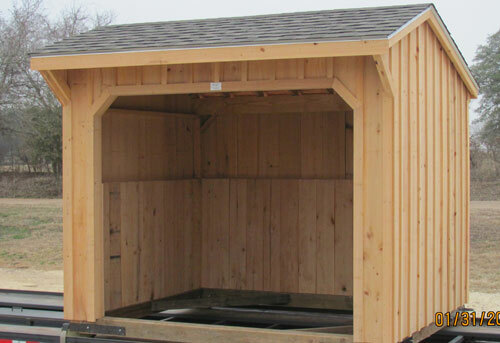 You can put one of these portable run-in sheds on any spot on your property and move it around as necessary with ease. If you have more than one or two horses on your land, and you’re looking for something a little more substantial for them, the 10-foot run-in sheds in Louisiana might be better suited for you. They’re roomier than the 8-foot option and will open space up for more horses to escape when it starts raining or gets to be too sunny outside. While many horse owners will find the 8-foot and 10-foot run-in shed options to offer more than enough room, the 12-foot run-in sheds in Louisiana are an excellent choice for those with a lot of horses. There is more than enough space in them to fit multiple horses at one time without a problem. Yet, they’re easy to move around if you want to pick one up and put it in a different spot. Deer Creek Structures’ portable run-in sheds are a must-have for anyone who owns horses in Louisiana. They’ll keep your horses safe and ensure they’re comfortable. 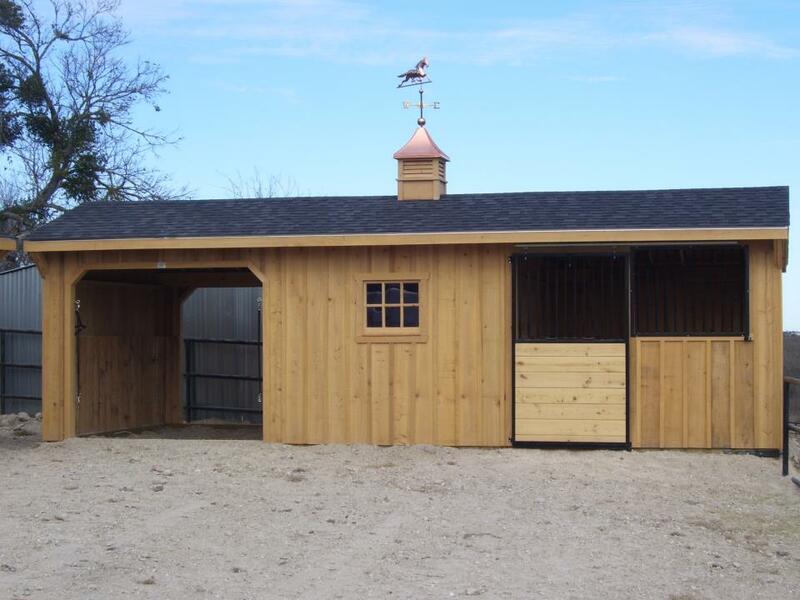 Deer Creek Structures can even customize a different size barn if you think it might be better for your specific situation. 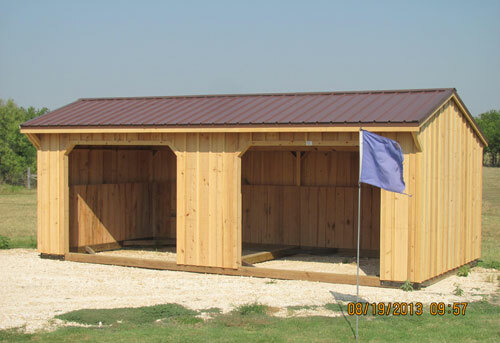 Contact Deer Creek Structures at 254-546-2276 today for more information on having horse sheds delivered.